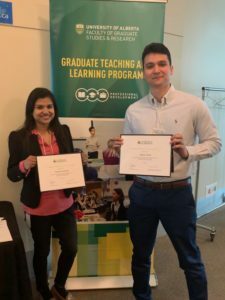 Two graduate students of AWRL Ms. Nandini Debnath and Mr. Adham Riad have been selected to receive a 2019 Graduate Student Teaching Award (GSTA). 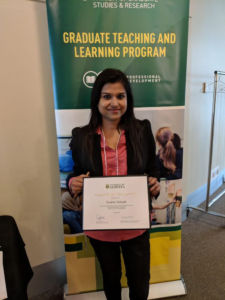 Being identified as a GSTA winner, Nandini and Adham were acknowledged due to their outstanding contribution to the undergraduate teaching mission of the University of Alberta. 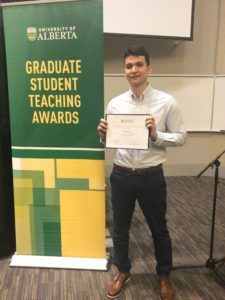 The Faculty of Graduate Studies and Research (FGSR) celebrated them at the 4th annual GSTA Celebration in April 2019. 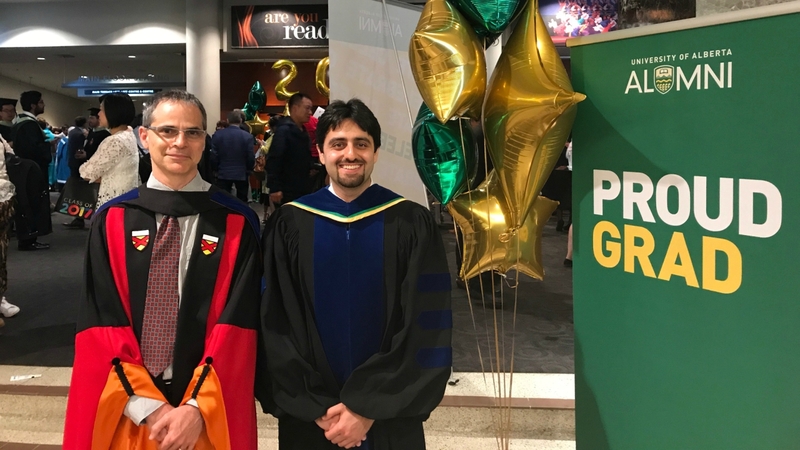 Ph.D. student Farhad Ismail wins the 2018 Alberta Innovates Graduate Student Scholarship for his research on biopolymer-based membrane technologies. 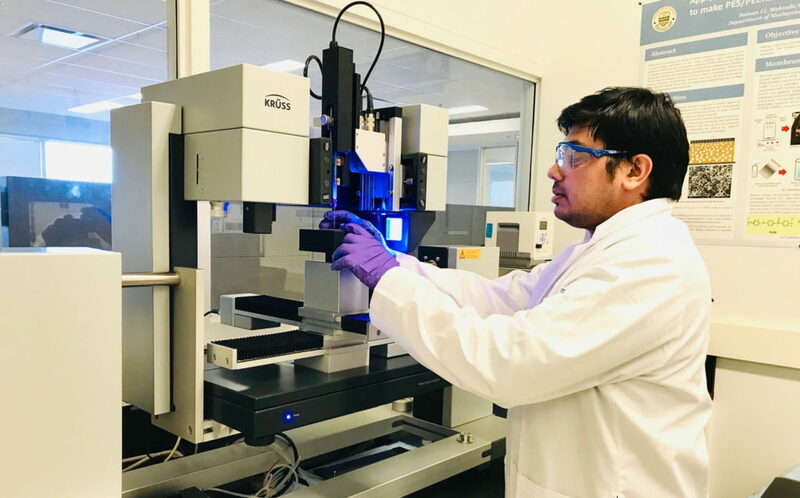 The aim of Farhad’s work is to develop enhanced hydrophilic thin film composite membranes to withstand adverse operating conditions, e.g., the abrupt change in pH, temperature, and contaminations (foulants). 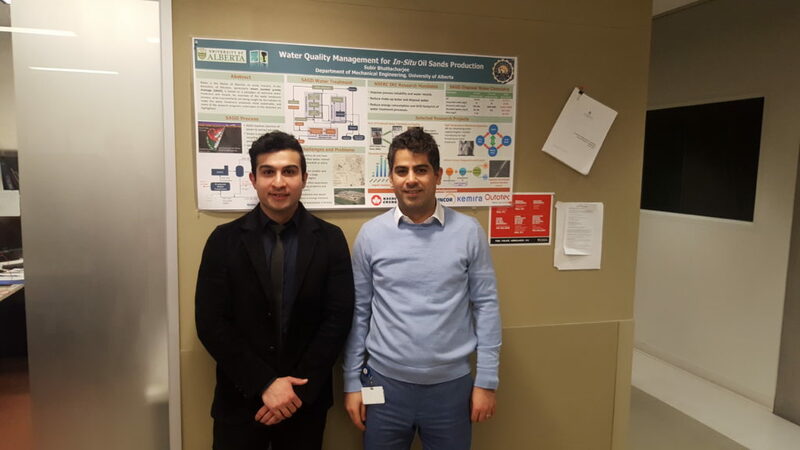 Mr. Farshad Mohammadtabar has defended his M.Sc. thesis in December 2018. Nanoparticles: Environmental Problems or Problem Solvers? 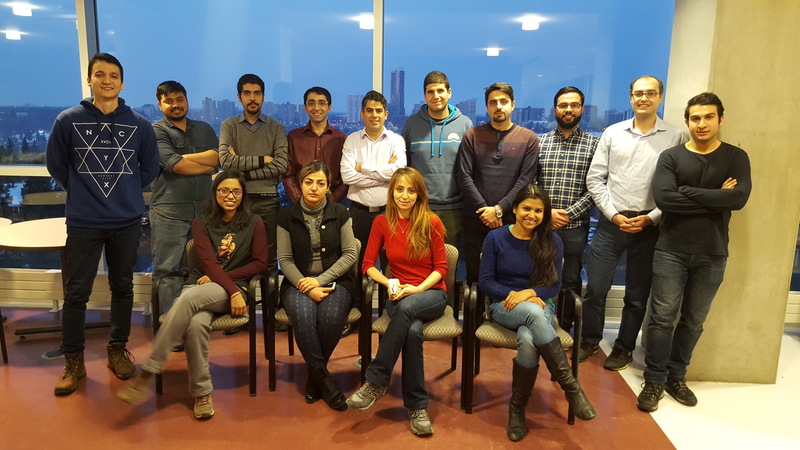 Dr. Mohtada Sadrzadeh, assistant professor of mechanical engineering and principal investigator at the Advanced Water Research Lab at the University of Alberta, is using nanoparticles to solve what he considers to be “a threat to freshwater” in Alberta's oil sands region. There, oil (in the form of bitumen) is removed from the ground in two ways: through open pit mines or, more often, through wells in situ. In situoperations commonly use an extraction method that pumps steam underground in one well to liquefy the bitumen, which is collected in a second well and pumped to the ­surface. This process contaminates the freshwater used to create steam with salts, silica, calcium, magnesium, and organic matter. 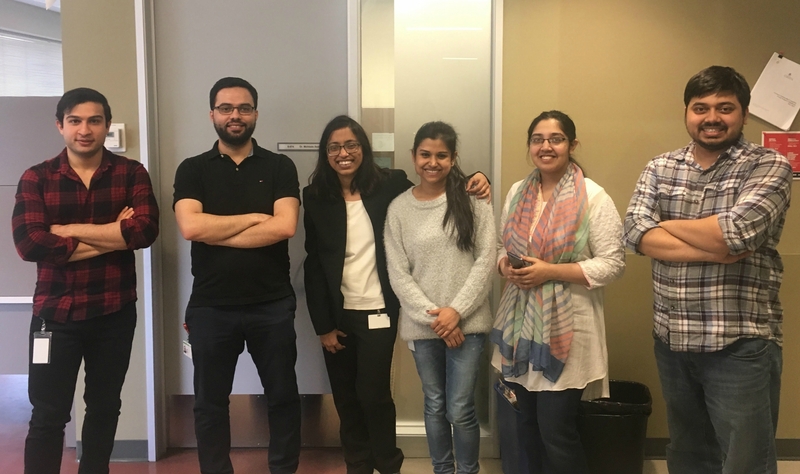 Dr. Ishita Biswas has successfully defended her Ph.D. on April 24, 2018. 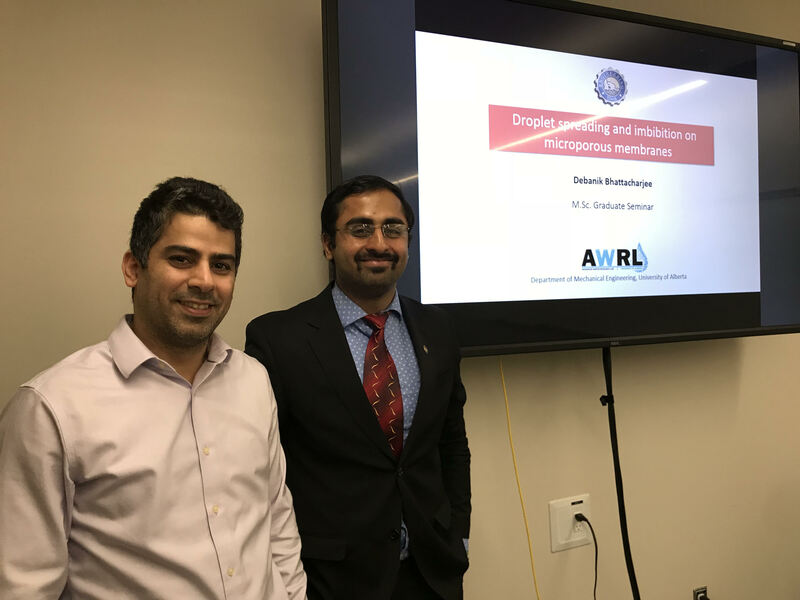 Mr. Debanik Bhattacharjee has defended his M.Sc. 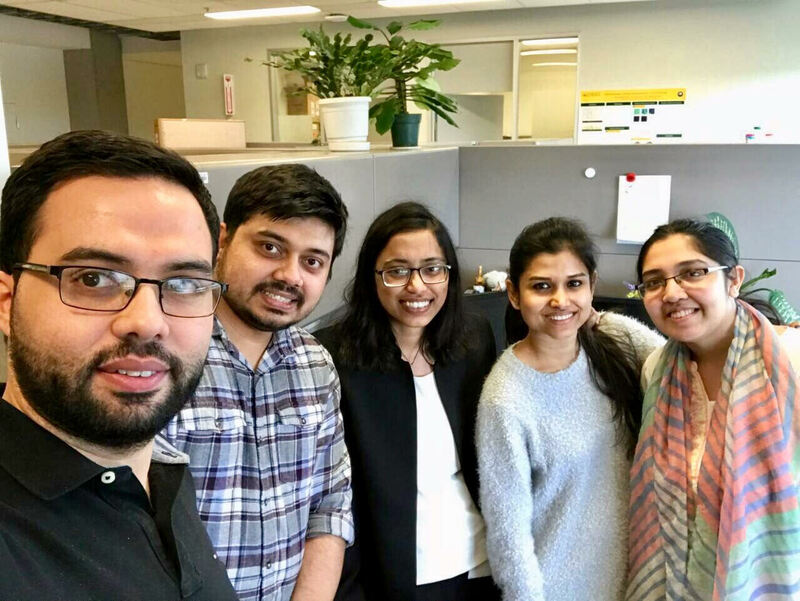 thesis in April 2018. 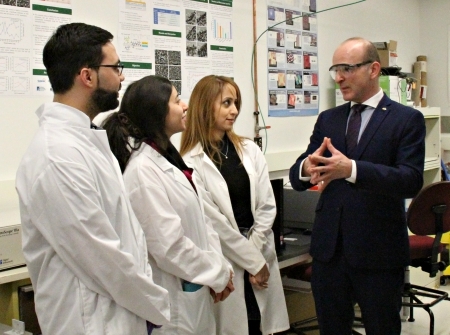 (EDMONTON) On behalf of Canada’s Minister of Natural Resources, Member of Parliament Randy Boissonnault today announced a $600,000 grant to the University of Alberta’s Advanced Water Research Lab. 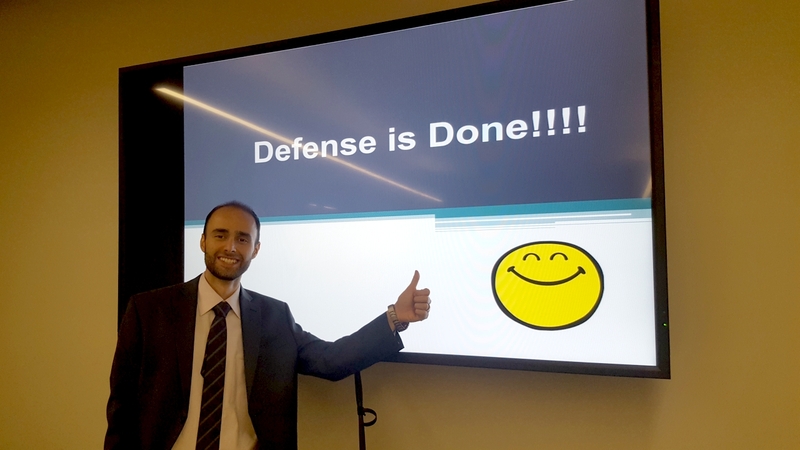 Mr. Zayed Almansoori has defended his M.Sc. thesis in November 2017. 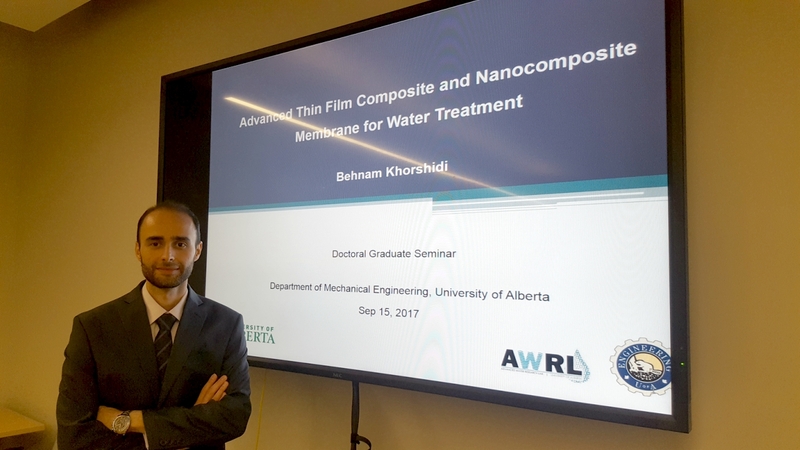 Dr. Behnam Khorshidi has defended his Ph.D. thesis in September 2017 (convocation in June 2017). 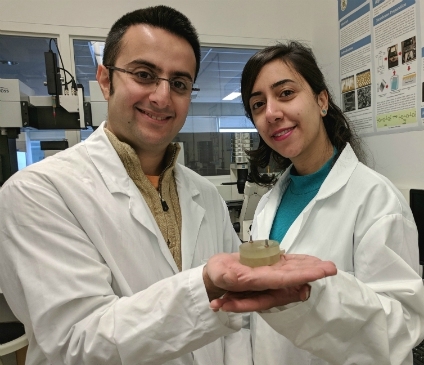 Behnam is co-supervised by Dr. Thomas Thundat (Chemical and Materials Engineering, UofA). 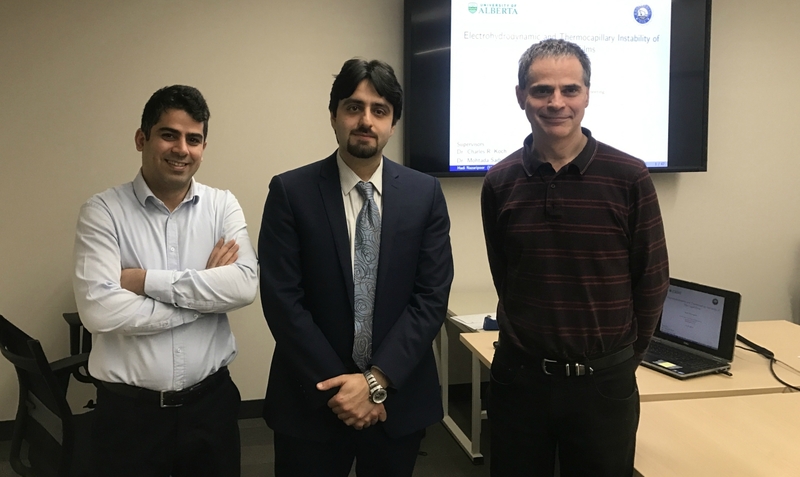 Dr. Hadi Nazaripoor has defended his Ph.D. thesis in December 2016 (convocation in June 2017). 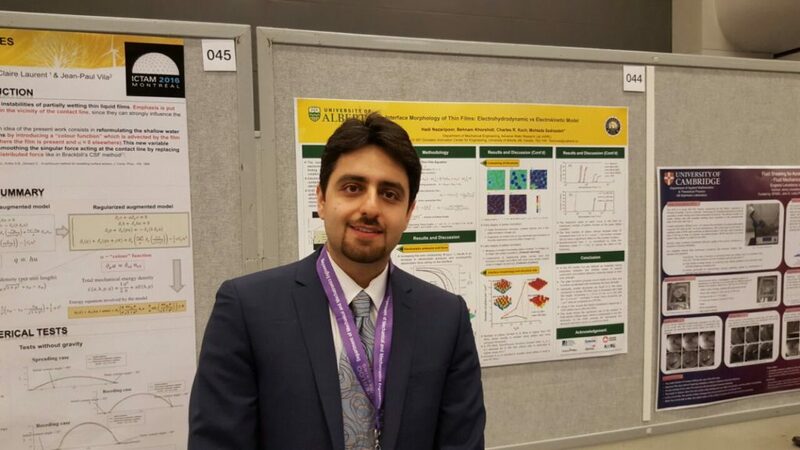 Hadi is co-supervised by Dr. Bob Koch (Mechanical Engineering Department, UofA). 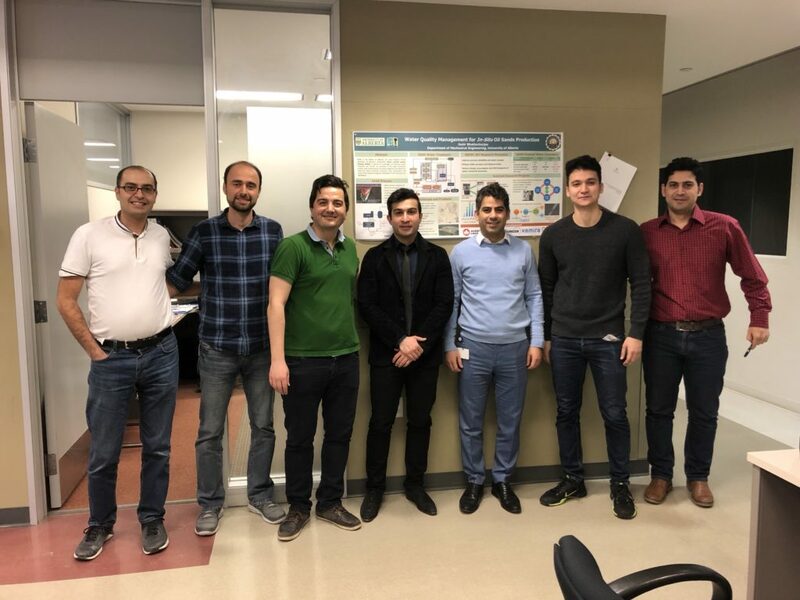 Mr. Behnam Gheshlaghi has defended his M.Sc. thesis in June 2016. 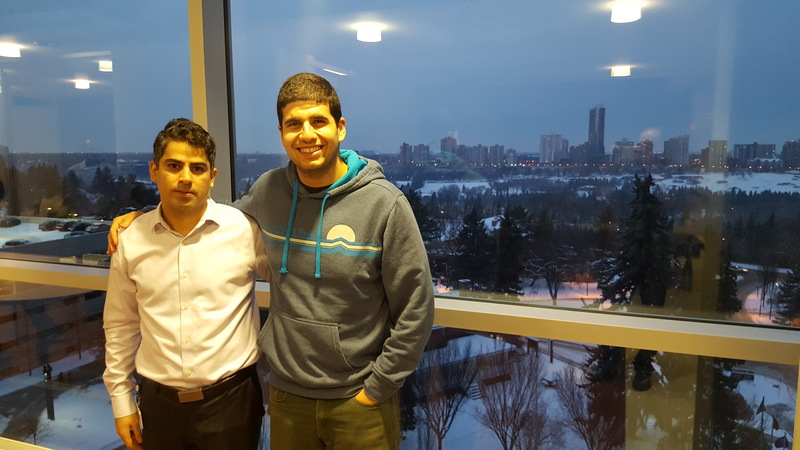 Behnam is co-supervised by Dr. Aloke Kumar (Mechanical Engineering Department, UofA). 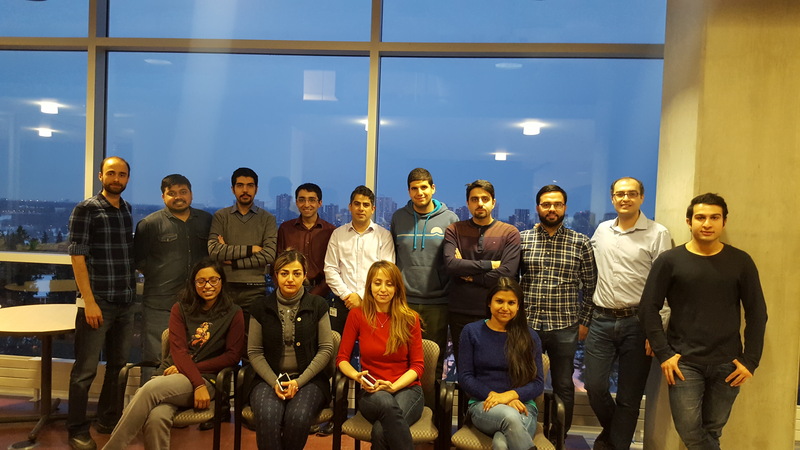 Mr. Amrit Bhinder has defended his M.Sc. thesis in November 2015. 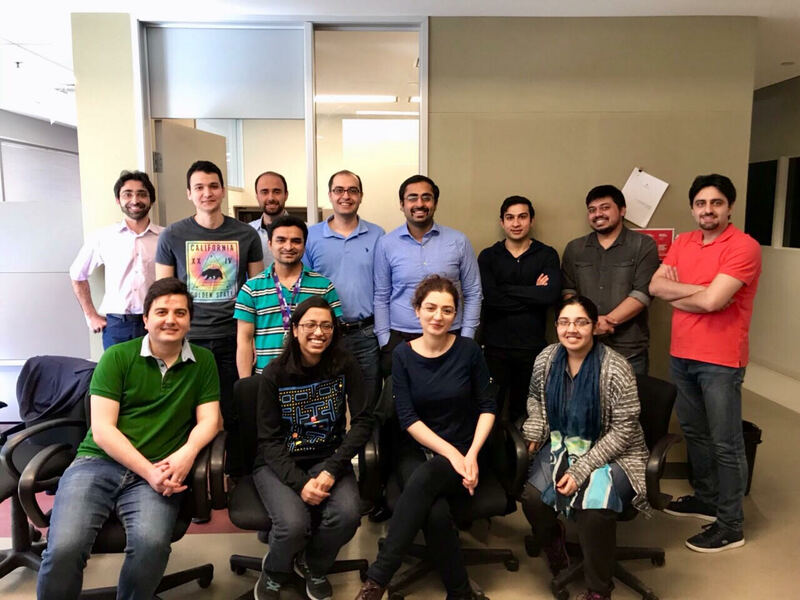 Mr. Javad Hajinasiri has defended his M.Sc. thesis in June 2015. 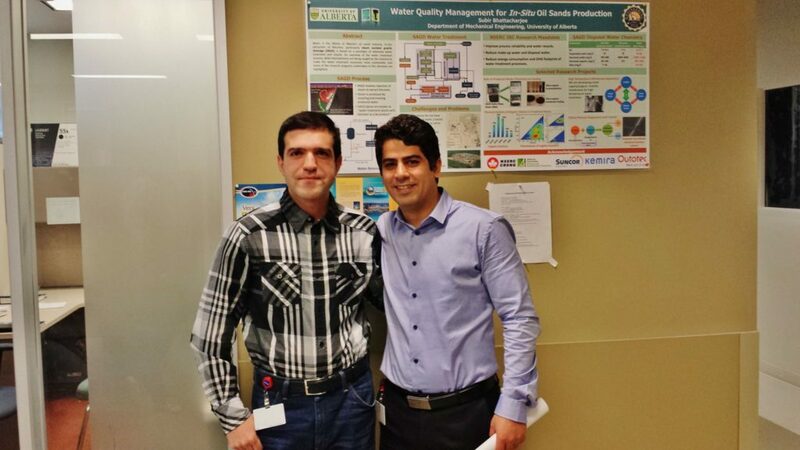 Javad is co-supervised by Dr. Brian Fleck (Mechanical Engineering Department, UofA).